Our mission is to be a customer oriented diamond jewelry company which produces superior and unique products resulting in the creation of a globally recognized and accepted brand. To achieve this mission our products, resources, and plans will be clear and focused so as to ensure Innovation, Uniqueness, Value, Quality and Efficiency to benefit our customers, our employees, and the company. Three generations of family tradition support the foundation of diamour Inc. Our business is rooted in the value of abiding relationships. Diamour is genuinely committed to a caring proactive relationship through design, training & support resources. With humble beginnings that date back to the early part of the 20th century, Sevantilal Javeri founded the first family-owned trading company in Bombay, India. Since then diamour has grown into a dynamic organization with locations in India and New York. As a vertically integrated structure diamour is able to source rough, cut, polish, design and manufacture exceptional diamond jewelry. 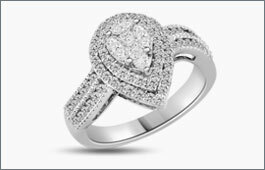 The most important consideration in buying diamond jewelry is trusting the company behind it. 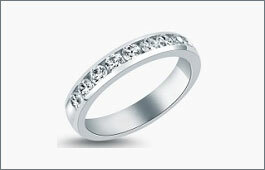 diamour is committed to upholding its century long tradition of integrity and value. A diamour diamond jewelry purchase guarantees beautiful, unique, and quality diamond jewelry from a well established and highly reputable family owned company with an exceptional commitment to exceeding customer expectations.